Assalam o Alaikum to All, I hope all of you so good. I am just wanna tell you about Prime Minister's Youth Training Scheme. Everyone knows that the registration of PMYTS closed now, many many congrats to those who got their tracking id. so after that, you all think. What is the next process? What NIP do with us? When I receive an Email from NIP? For your all Question's we think and decide how to guide easily? The Process of Prime Ministers Youth Training Scheme.For all new and Previous Candidates. I hope you will Like this. The process is that, if you submitted the correct application, then wait for the response from NIP more than two months. Because this is not a simple process for selection.If you eligible for PMYTS your record will be verified, which are submitted by you on PMYTS registration form. NIP received you data and checked from NADRA for your personal verification. If you submit incorrect your records like your CNIC or Name, for this mistake you known as the rejected candidate. for this cause, you will not be received any info about your application from NIP. after verification of NADRA, nip check your academic record from your provided Board/ University. you will be known as rejected candidates. 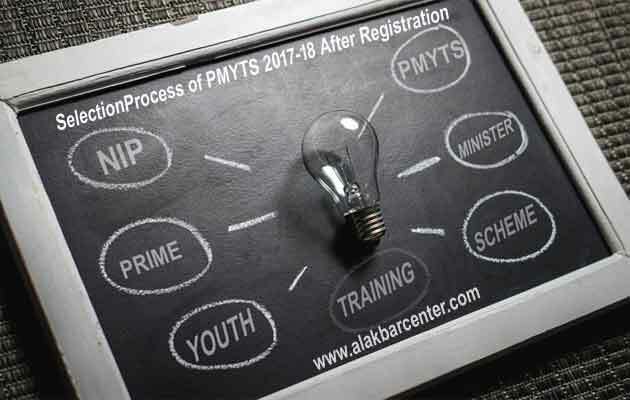 If your record is verified by NADRA and Board/Uni or approved by HEC, then you have known as a selected candidate for the prime minister youth training scheme. But it's also on the behalf of merit. if your merit below than others candidates it's not good for you. Higher educated candidates will be preferred for selection. When you feel full eligible for this scheme, and your criteria meet the requirement to NIP, after this, you will receive an email, send by NIP with your username and password for login to the web portal which is provided by NIP. when someone received selection mail he/she is too much happy, yup its time to smile, because now you have known as the selected candidates for the (PMYTS) prime minister's youth training scheme. Are you all done or not? Now the question is that, What should we do? when selection email received from NIP. this one step is so simple . just log in to your web portal and follow the instruction, I am already writing on this issue on our website www.Bilalakbar.com visit this link for more instruction about this question. I've also uploaded the above-mentioned problem video on youtube you also search in our channel as Al Akbar Center and watch our videos about PMYTS. The video of Next process after receiving selection mail will be upload soon as possible Selected candidates list to prepare. I hope you will like this discussion on PMYTS Process. Get all latest info about PMYTS in your mail inbox just type your email below and hit on subscribe button. Sir I didn't get any tracking I'd... What's the procedure for getting tracking I'd? Sir phase 2 wali merit list KB tk final ho gai ?